Jeff Struckhoff has litigated cases in state and federal courts throughout Louisiana and Mississippi, and routinely defends clients in the areas of property and construction law, insurance coverage, bad faith, transportation, product liability, professional liability, commercial litigation, and environmental/toxic tort liability. Jeff has been recognized as a top rated construction litigation attorney and was selected as a Rising Star by Super Lawyers. 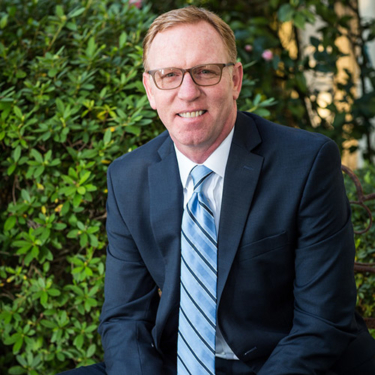 After earning a Bachelors Degree in Political Theory and a Masters Degree in English Literature from Louisiana State University, Jeff earned his Juris Doctorate from Loyola University New Orleans School of Law in 2005. While at Loyola, Jeff served as Casenote / Comment Editor of the Loyola Journal of Public Interest Law. Jeff also externed for the Honorable Stanwood R. Duval, Jr., Judge of the United States District Court for the Eastern District of Louisiana, and that experience inspired a passion for litigation and an appreciation for what makes a successful litigator. Jeff also participates in a number a charity fundraising events, including Hogs for the Cause, which raises money for families of children fighting pediatric brain cancer, and he volunteers as an officer of the Lycee Francais de la Nouvelle Orleans Dads Club. Jeff is married to Amanda Parker Struckhoff, and they have two beautiful daughters, Emelia and Ava. Fin & Feather, LLC v. Plaquemines Parish Government, 2016-CA-1256 (La.App. 4 Cir. 9/28/16); 202 So.3d 1028; immunity for contractors and insurers for hurricane recovery activities. Martinez v. American Steelway Industries, LLC, 2009-0339 (La.App. 4 Cir. 9/2/09); 20 So.3d 526; rights of withdrawing member of limited liability company. “The Irony of Uberrimae Fidei: Bad Faith Practices in Marine Insurance,” 29 Tul.Mar.L.J. 287 (Spring 2005). “The Elusive Standard of Equal Protection: Southwest Voter Registration Education Project v. Shelley and the Continued Decline of Voting Rights,” 5 Loy. J. Pub. Int. L. 161 (2004).